Published by B. T. Batsford Ltd., London Second revised edition 1941-2. 1941. Hard back publisher's original light blue cloth covers, gilt stamping to spine. Well illustrated. Light foxing to end paper. In Very Good condition, no dust wrapper. Member of the P.B.F.A. Published Privately by the Author Third Edition December 1979. 1979. First edition in publisher's original illustrated card wrap covers [soft back]. 8vo. 8½'' x 6''. This third edition contains information, not included in the first two editions, on the Ferrars who held the manor of Little Gidding between 1625 and 1767. 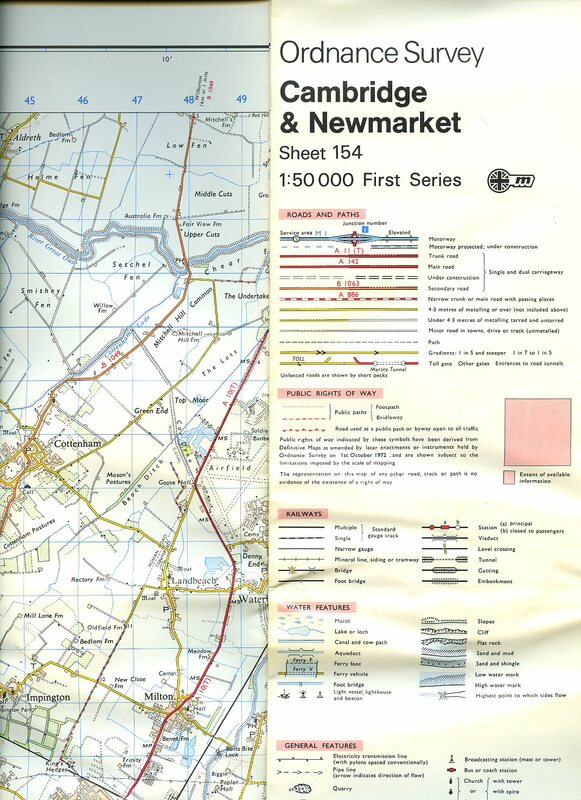 Contains 44 (+ covers) printed pages of text with one monochrome map. In Very Good condition, no dust wrapper as issued. Member of the P.B.F.A. 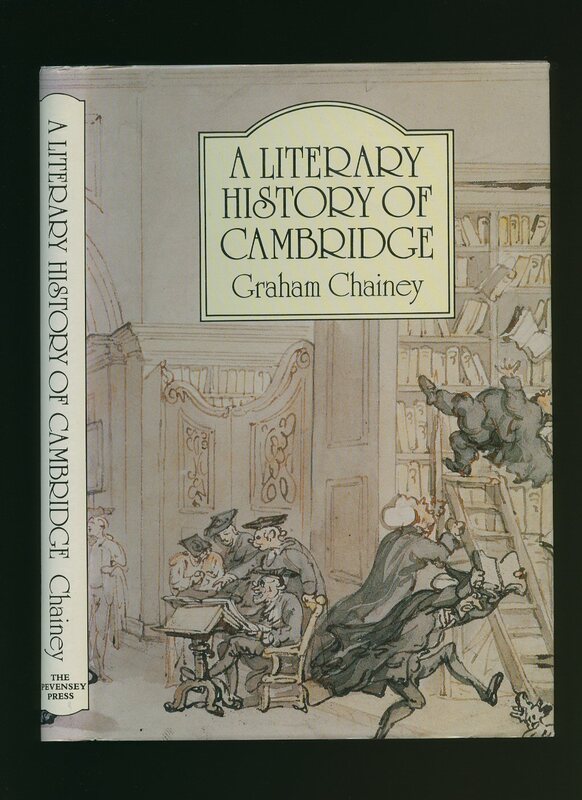 Published by The Pevensey Press, 6 De Freville Avenue, Cambridge First Edition 1985. 1985. 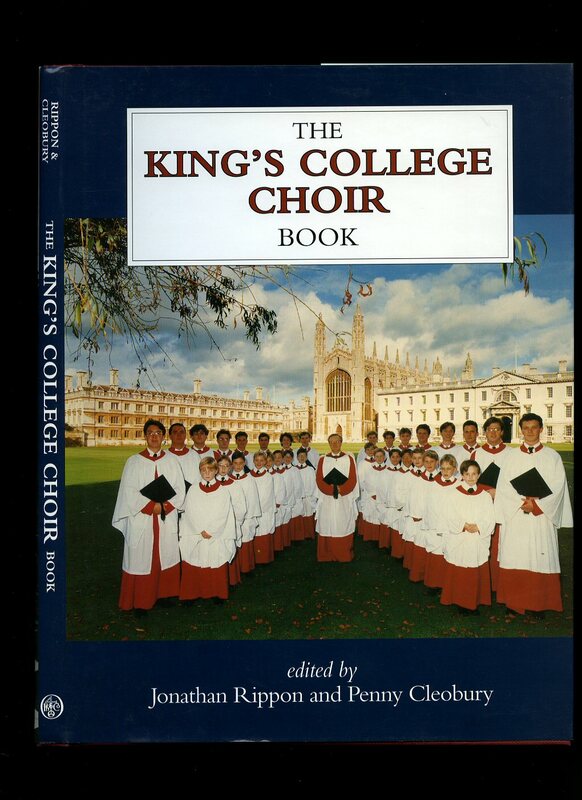 Published by St. Catharine's College, Cambridge. Publisher's original light blue stiff card covers, black lettering to upper panel. 8vo 8½'' x 5¼'' xxxviii pp. In near Fine condition. Member of the P.B.F.A. 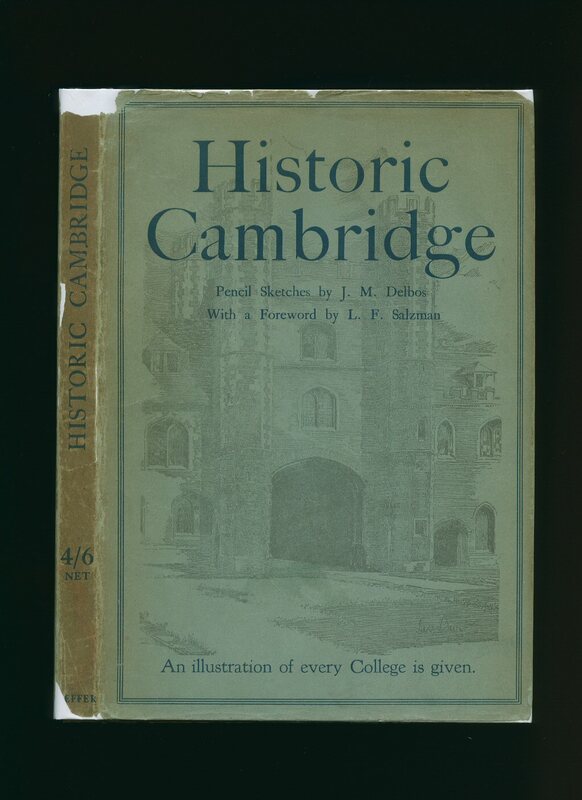 Published by W. Heffer & Sons Ltd., Cambridge First Edition 1923. 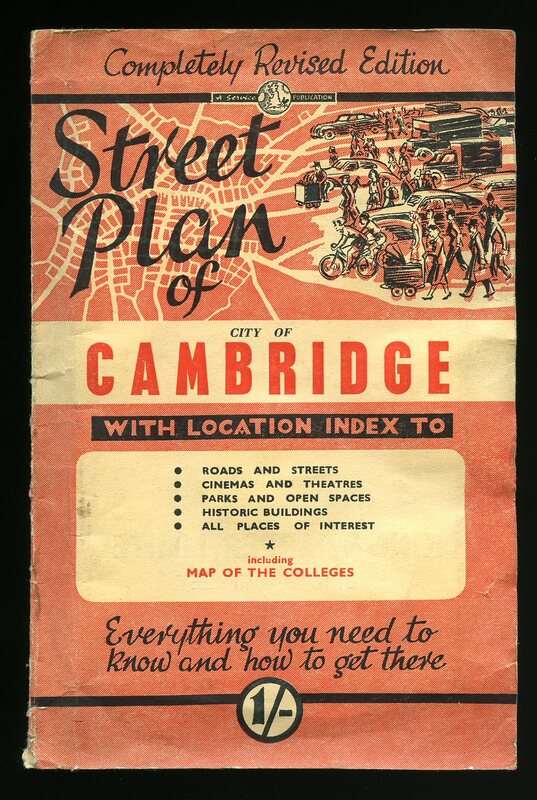 Cambridge 1923. First edition hard back binding in publisher's original purple paper covered boards, black title lettering to the white spine, pale blue lettering and illustration to the front cover, illustrated grey end papers. 8vo. 9½'' x 6¼''. Unpaginated printed pages of monochrome pencil sketch illustrations with a detailed description to each. Light sun fading to the edges of the boards, rubs to the corners and board edges, ghosting to the end papers, age darkened page edges. Very Good condition book in Good condition dust wrapper with creases and large chips to the corners, edges and spine ends. Dust wrapper supplied in archive acetate film protection, it does not adhere to the book or to the dust wrapper. Member of the P.B.F.A. 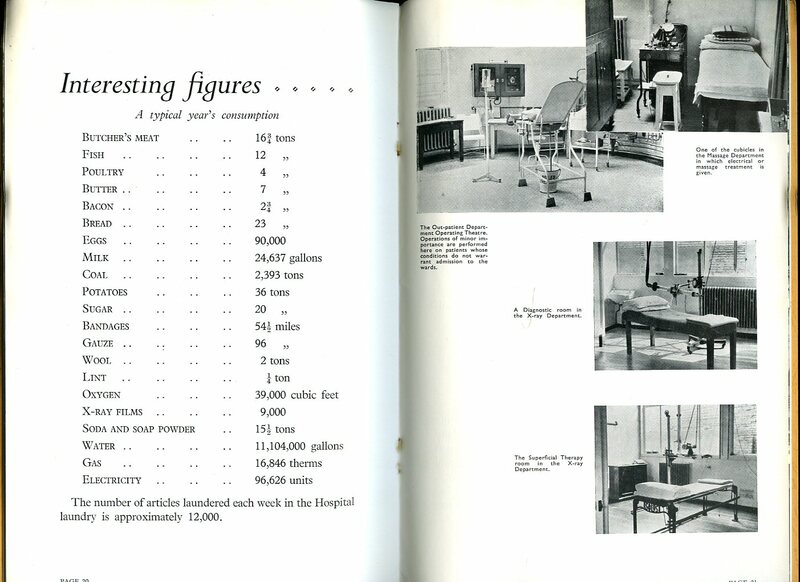 Published by Service Publications of Hastings, Sussex circa 1948 edition not stated. circa 1948. 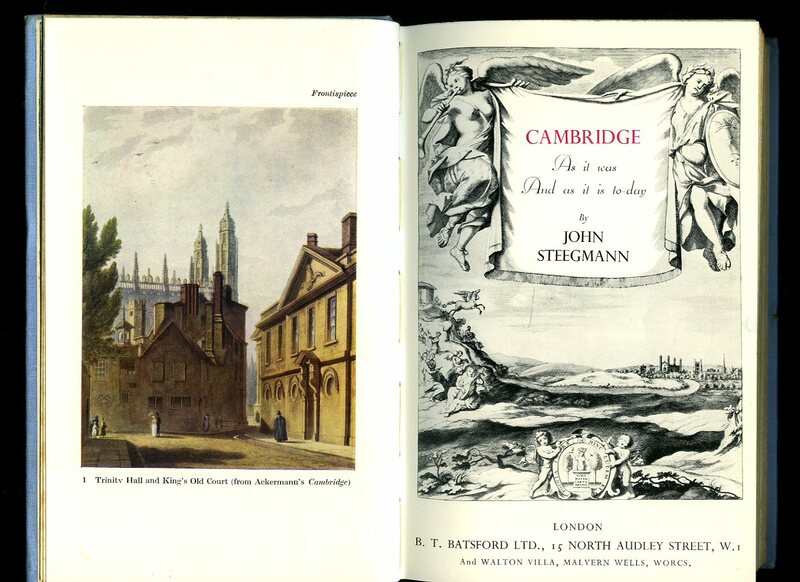 Publisher's original illustrated card covers. 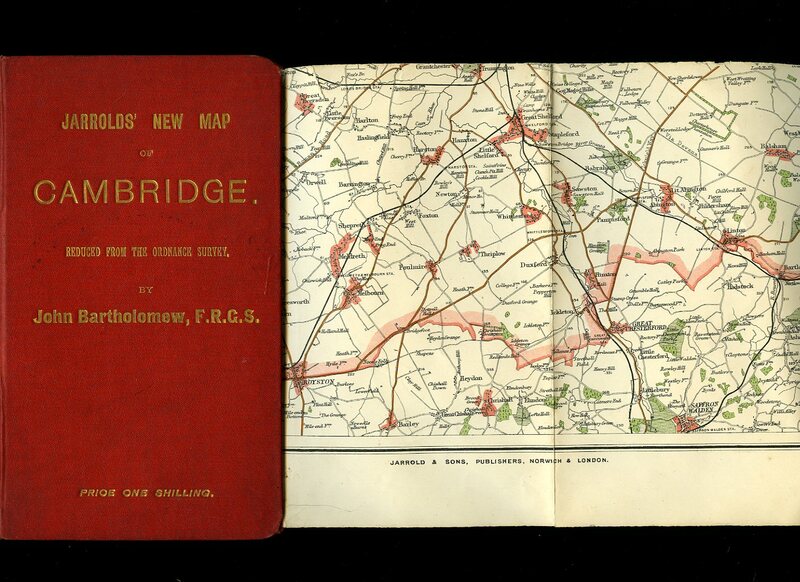 8vo 8½'' x 5¼'' unfolding to 30'' x 20'' with period advertisements around the border of the map. Minor tears to the creases and in Very Good condition. Member of the P.B.F.A. 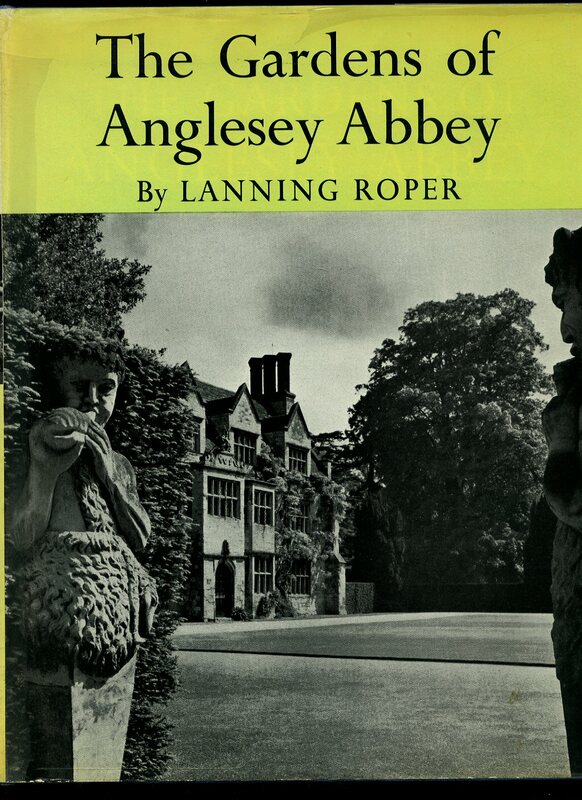 Published by Faber and Faber Ltd., 24 Russell Square London First Edition 1964. London 1964. First edition hard back binding in publisher's original Wedgwood blue buckram covers, gilt lettering to the spine and the upper panel. Quarto 11½'' x 9''. 96 pages followed by 80 pages of monochrome photographs, end paper colour plans. 1 of 600 Limited Edition copies. Fine condition book, in Very Good condition dust wrapper with slight lifting of the laminate to the upper gutter, couple of small nicks to the edges, not price clipped. Dust wrapper supplied in archive acetate film protection, this protects and prolongs the life of the paper, it is not adhered to the book or to the dust wrapper. Member of the P.B.F.A. Published circa 1937 edition not stated. 1937. Publisher's original stapled light orange card covers. 8vo 8½'' x 5¼'' 28 pp. Monochrome illustrations throughout. In Very Good clean condition with slight rust spotting to the staples, no dust wrapper as published. Perforated Subscription Slip to the inside lower cover. Member of the P.B.F.A. 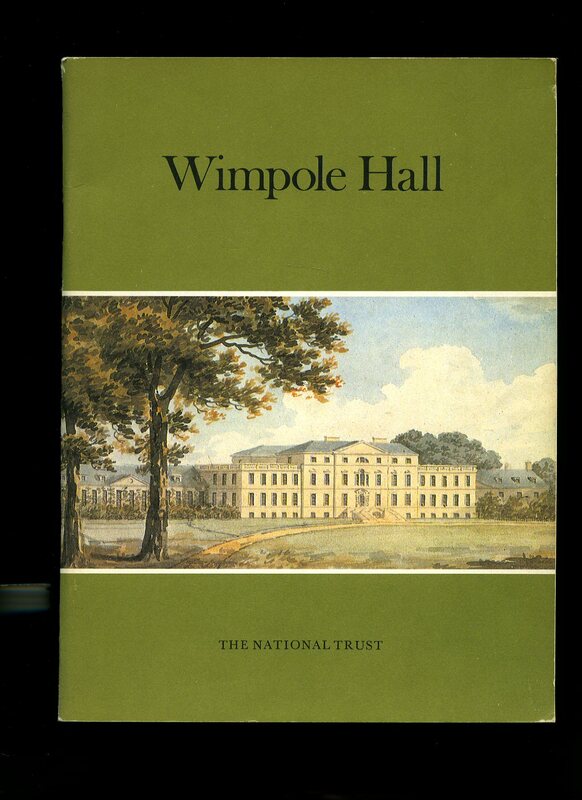 Published by The National Trust Ltd., 36 Queen Anne's Gate, London 1981. London 1981. Publisher's original stapled colour illustrated card wrap covers. Quarto 10'' x 7¼'' 68 pp. Archive monochrome illustrations throughout. In Fine condition, no dust wrapper as published. Member of the P.B.F.A. Published by John Bartholomew & Son Ltd., Duncan Street, Edinburgh circa 1900. 1900. Publisher's original scarlet cloth covered boards, gilt lettering to the front cover. 25 sections opening to 30'' x 22''. 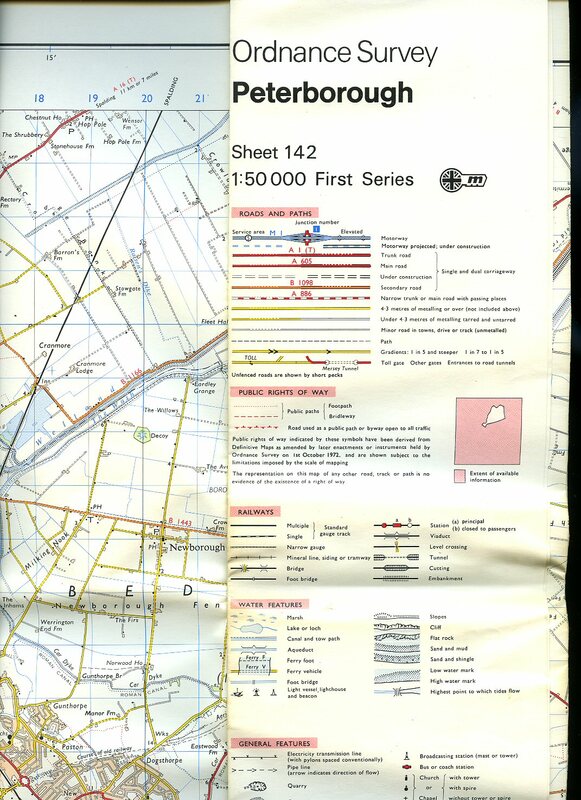 Colour paper map with repaired tears across two of the horizontal folds from side to side. Priced 1/- to the front cover. Member of the P.B.F.A. 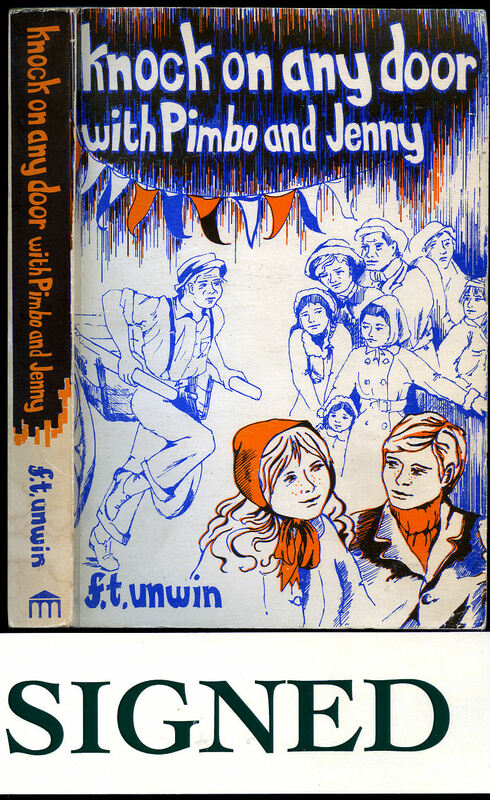 Published by the Author F. T. Unwin, 5 St. Mary's Passage, Cambridge First Edition 1979. 1979. First edition hard back binding in publisher's original maroon paper covers, gilt title and author lettering to the spine. 4to. 10'' x 7¼''. ISBN 1860770525. Contains [x] 86 printed pages of text with colour and monochrome photographs throughout. Without any ownership markings. Fine condition book, in Fine condition dust wrapper, not price clipped. Dust wrapper supplied in archive acetate film protection, this protects and prolongs the life of the paper, it is not adhered to the book or to the dust wrapper. Member of the P.B.F.A. 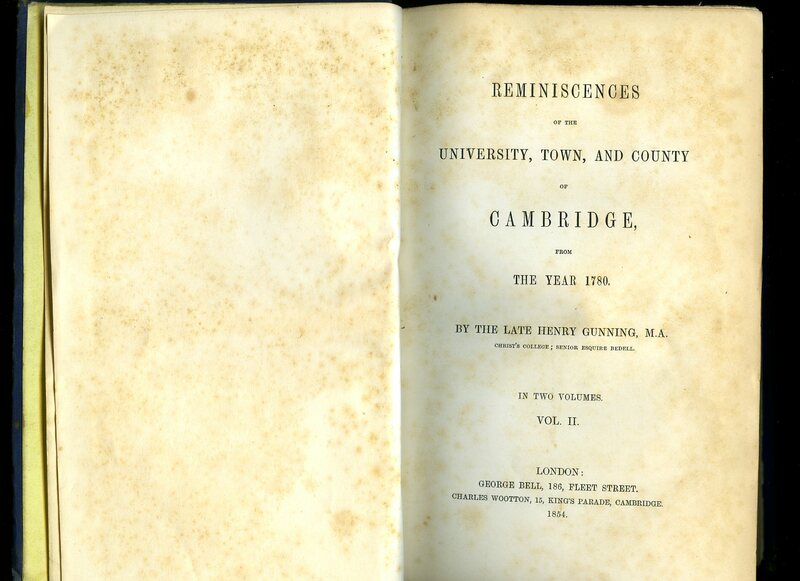 Reminiscences of the University, Town and County of Cambridge from The Year 1780. 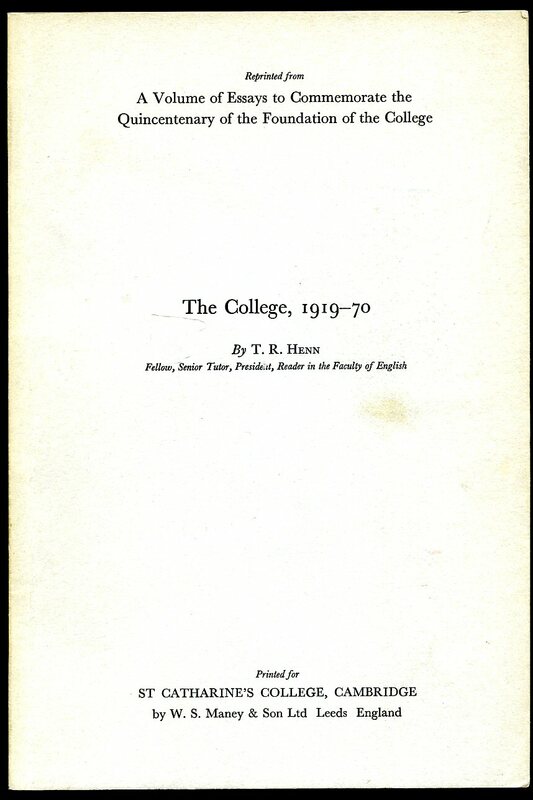 [in Two Volumes] Volume II. Published by George Bell, 186 Fleet Street, London First Edition 1854. London 1854. First edition hard back binding in publisher's original dark lavender cloth covers, gilt title and author lettering to the spine. 8vo. 9'' x 6''. Contains [vii] 375 printed pages of text. Shallow rubs to the softened spine ends, edges and corners, ghosting and tan age spots to the end papers and title page, age darkened closed edges. In Very Good condition, no dust wrapper. Member of the P.B.F.A.